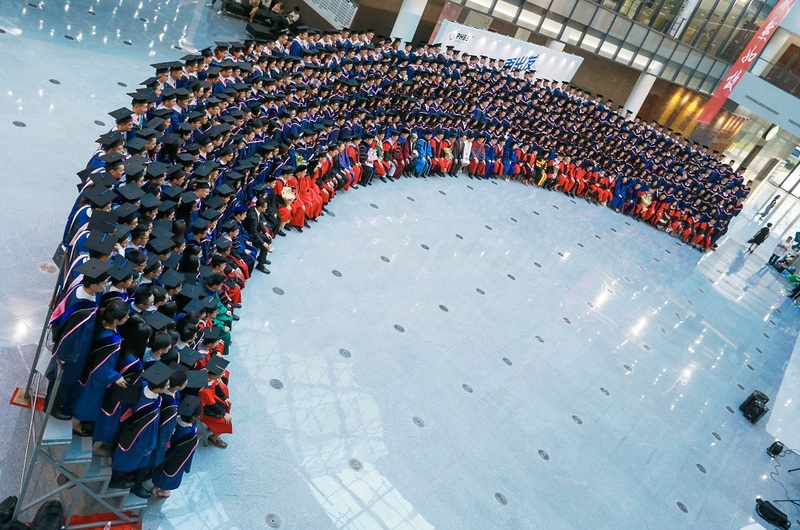 Commencement ceremony marks graduates’ hard work and commitment to achieving their educational goals. 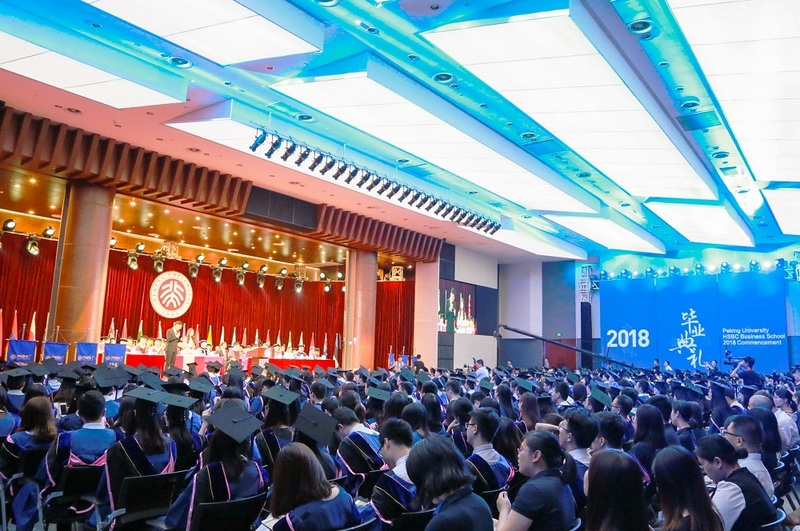 On June 2, 2018, graduates bid farewell to PHBS before opening their brand-new chapter of life. 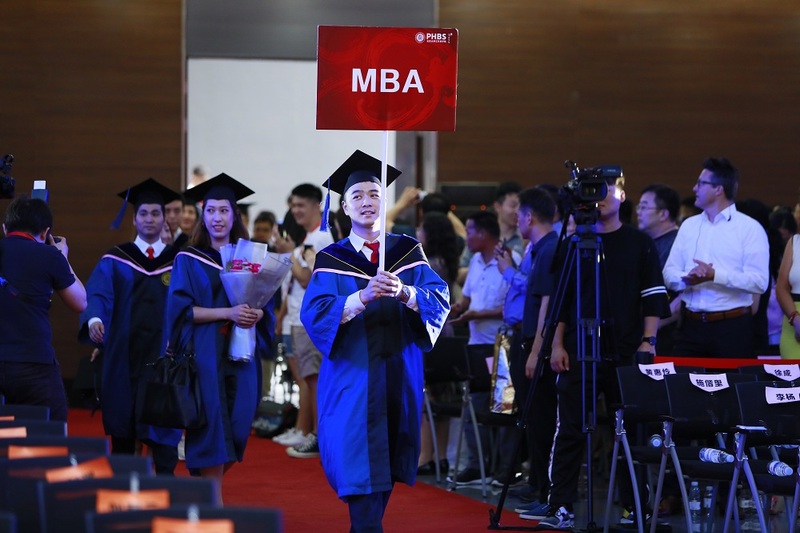 Looking forward to see what the future holds for them, 316 MA graduates, 122 MBA graduates, 91 EMBA graduates and 33 graduates of business administration attended this commencement ceremony, celebrating this major milestone with their beloved classmates, teachers, families and friends. 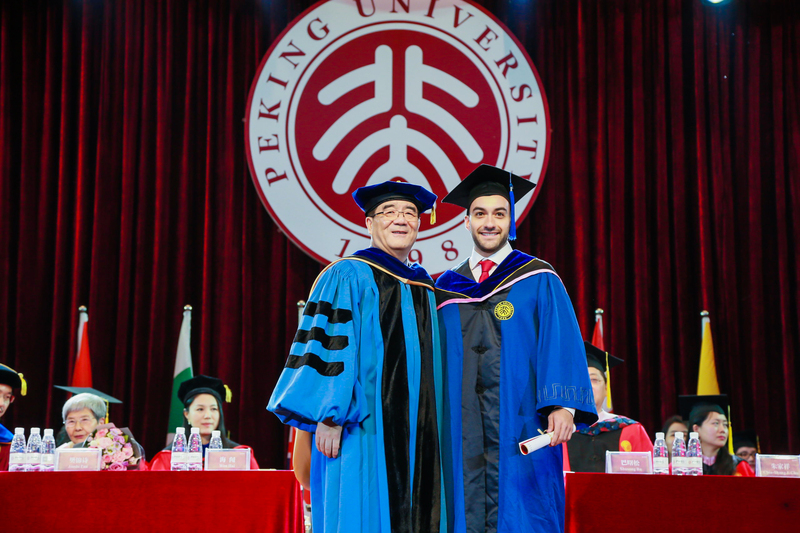 Peking University HSBC Business School (PHBS) 2018 commencement ceremony was held at the grand hall of PHBS building. 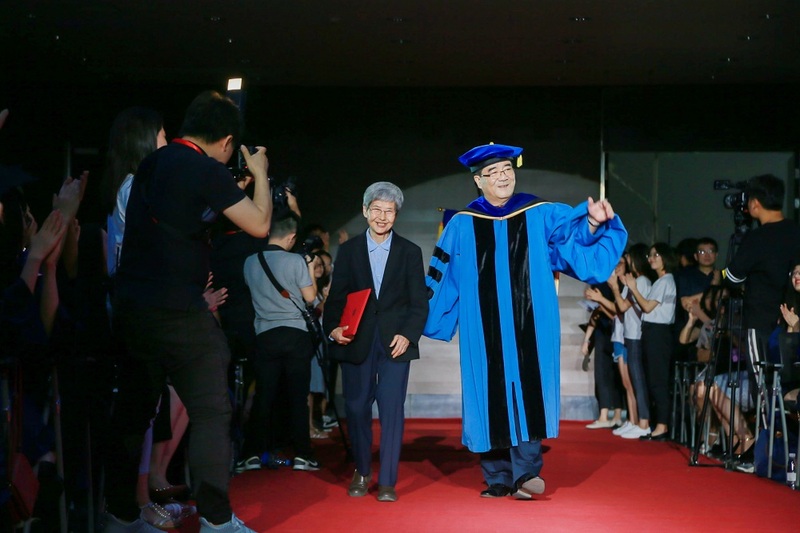 Jinshi Fan, honorary president of Dunhuang Academy; Wen Hai, vice chairman of Peking University School Council, PHBS dean; Shusong Ba, PHBS professor in finance, chief China economist of Hong Kong Exchanges and Clearing Limited （HKEX）and other guests, professors, families and friends get together for commemorating this warm moment. 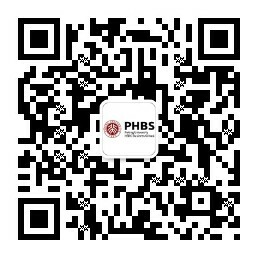 This was the second year that the PHBS commencement ceremony was covered live through the internet. 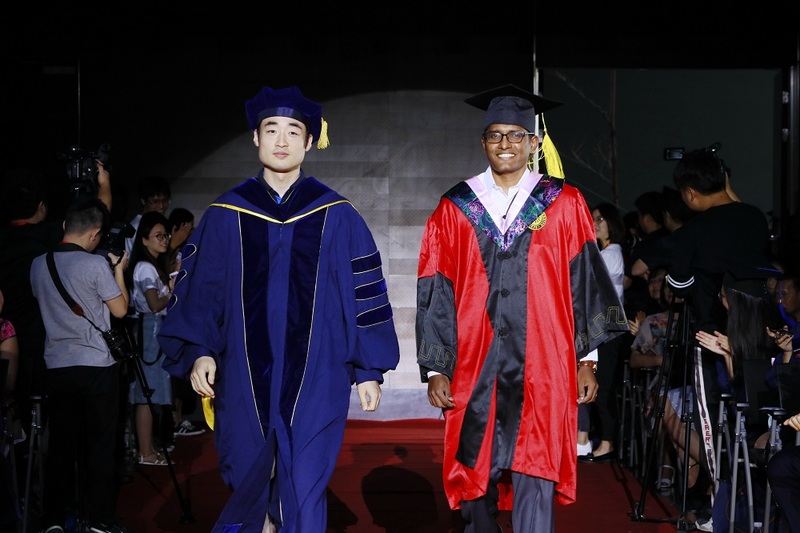 Before the ceremony began, all the graduates entered PHBS grand hall in order. 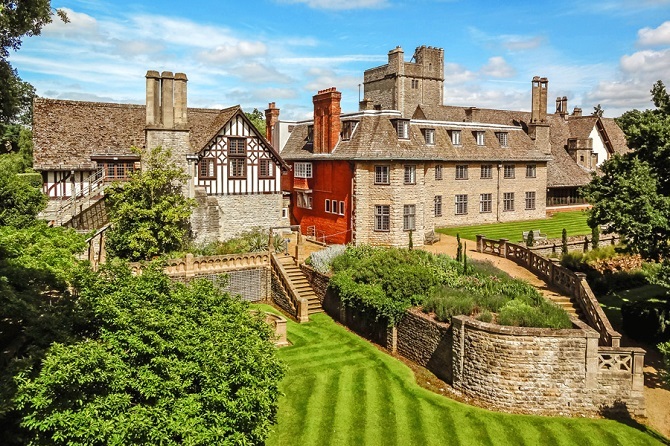 On the big screen, moments about their life in PHBS flashed by to recall their vivid memories here, laughters and tears, all mixed feelings interwoven into their precious memories. 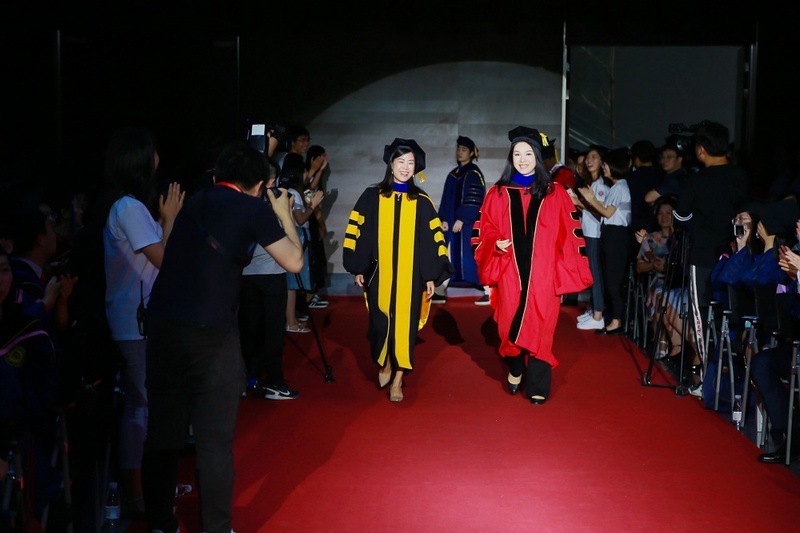 After the video, 2018 PHBS commencement ceremony officially began. 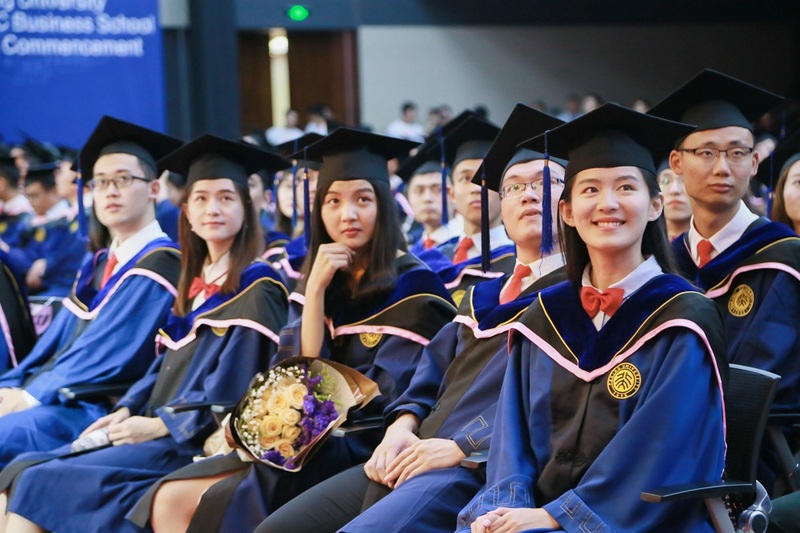 Leading by 2016 and 2017 student representatives, all the graduates, guests and audience sang “Love for PKU” together to express their love to Alma Mater. 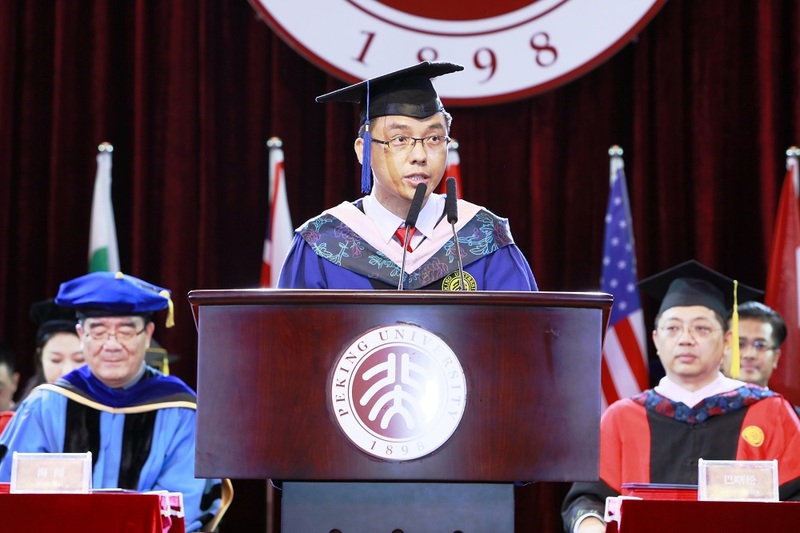 At the beginning of this commencement ceremony, Dongxiao Niu, MA student of economics spoke as a graduate representative. Her key words were "hard work," "gratitude" and "responsibility". 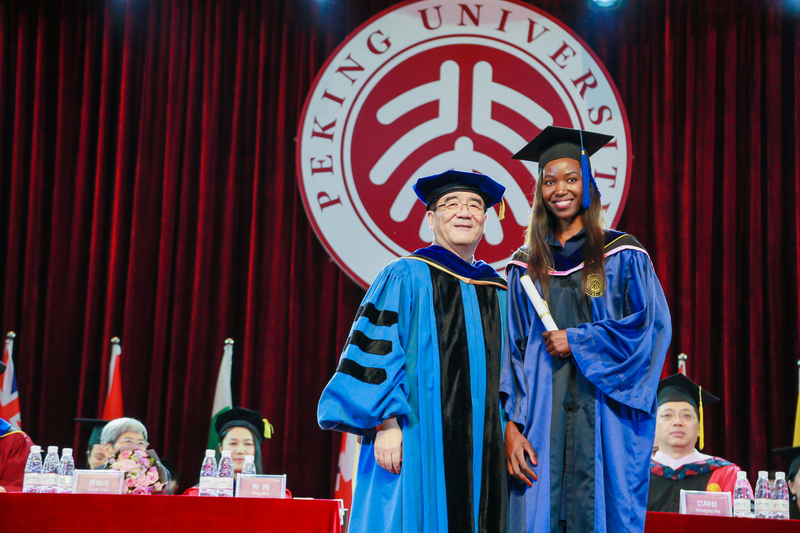 During her speech, she reviewed the challenges and pressures in the past three years and admitted that it was a hard yet fruitful journey to pursue education in PHBS. 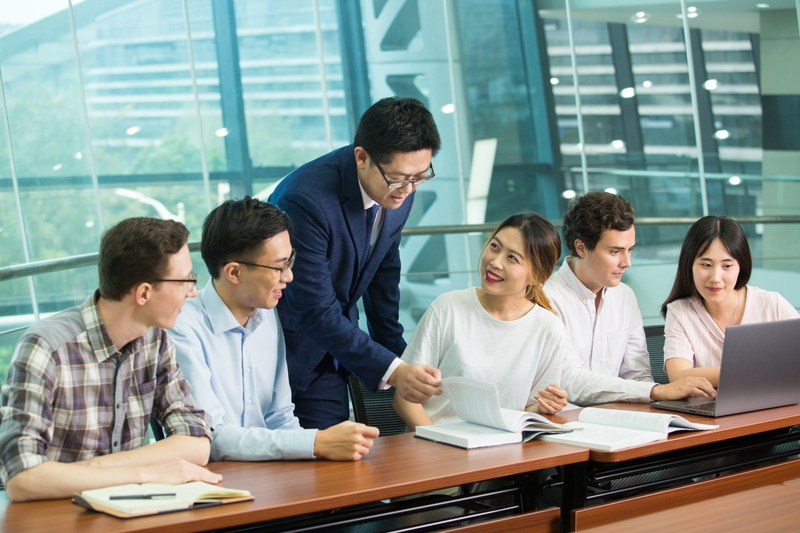 In addition to her hard work, she also appreciated all the selfless teachers, supporting family, and her classmates who kept her accompanied during knowledge pursuit. 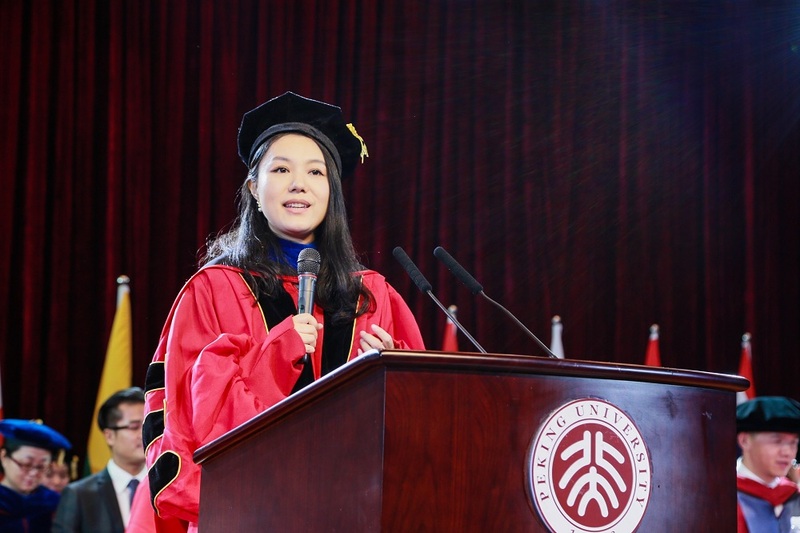 Looking ahead, she called on graduates to work hard for undertaking their social responsibilities and ethical missions of renovating disorders, eradicating poverty, popularizing science and promoting fairness. 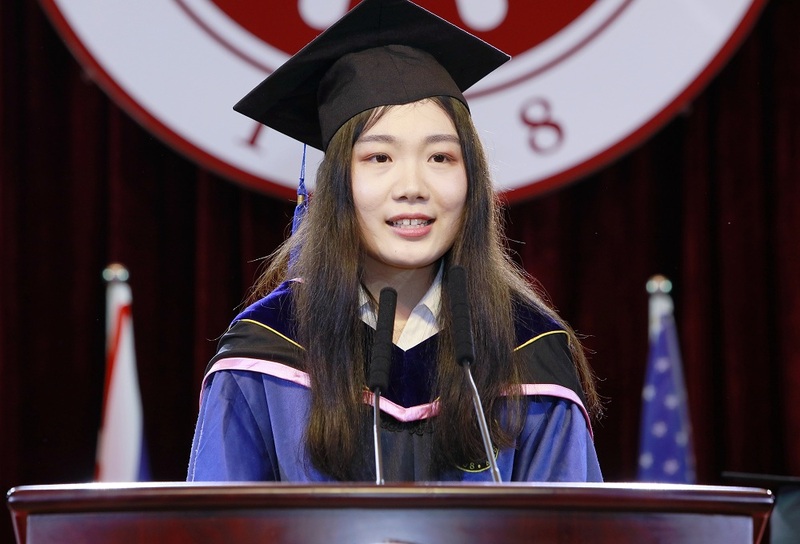 Another graduate representative was Wenping Jing, 2016 EMBA student. 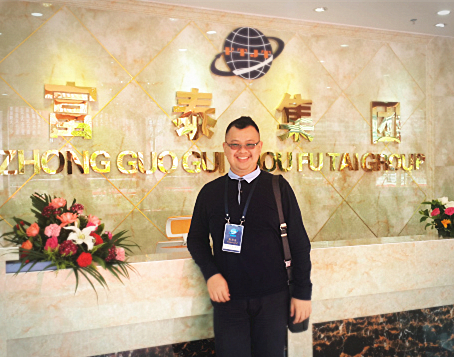 He talked about his gains during his EMBA education in PHBS, which including knowledge, friendship and vision and far-sight. 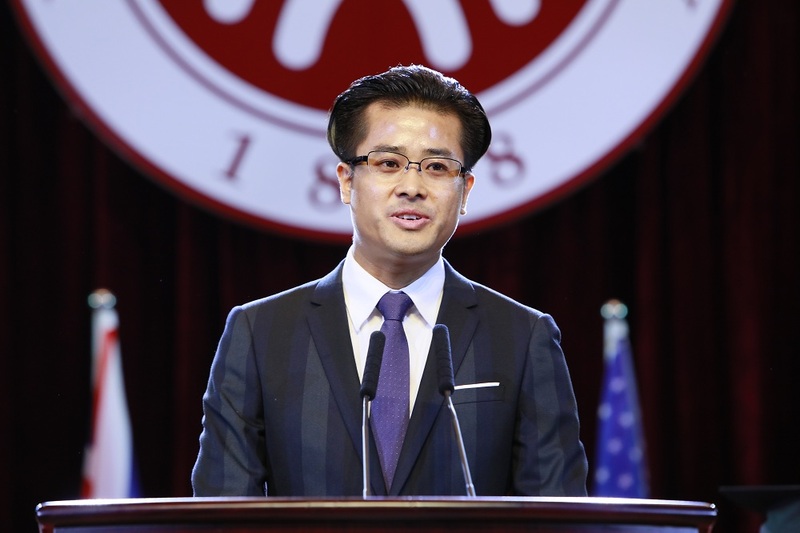 For him, PHBS was an excellent platform which enabled him to learn from renowned scholars from both home and abroad, to develop friendship with the elites of all walks of life, and to explore globalized perspectives. 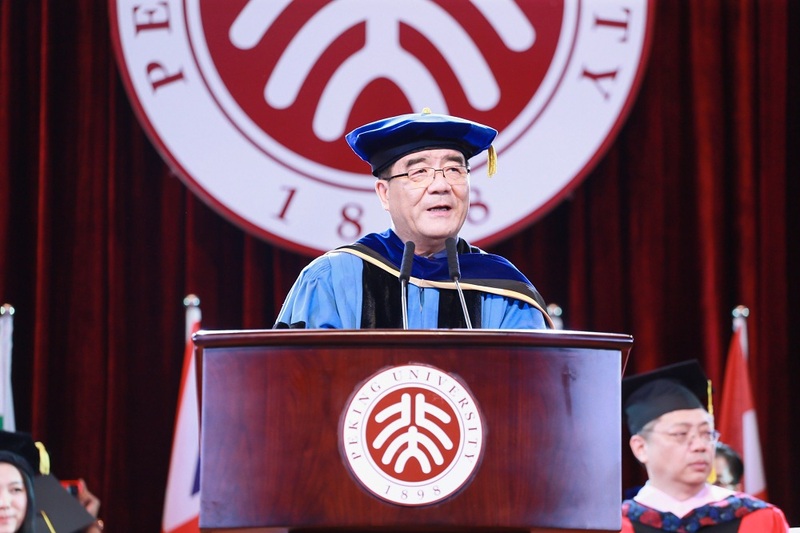 At the special invitation of PHBS Dean Wen Hai, Professor Jinshi Fan, honorary president of Dunhuang Academy, delivered a keynote speech titled "Keep Obligations in Mind." 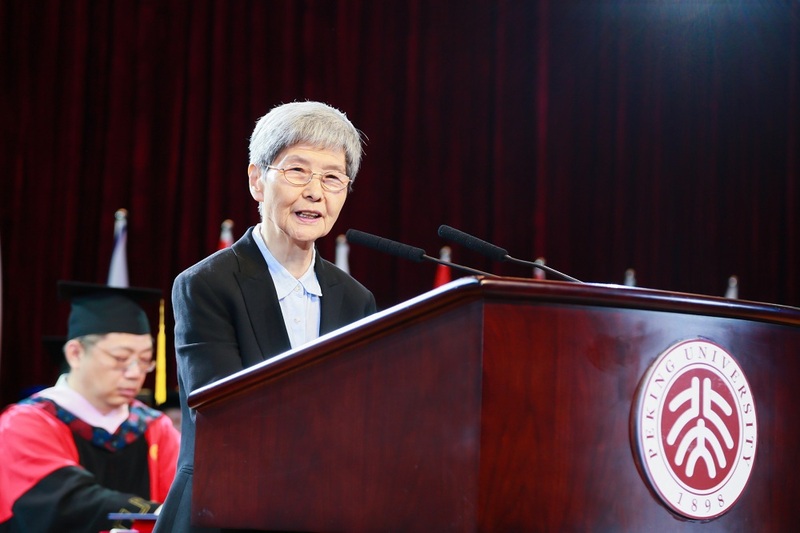 In 1958, Professor Jinshi Fan was enrolled into Department of History, PKU and started her major in archaeology. During the past 55 years after her graduation, she dedicated to protecting human cultural heritages in the Mogao Grottoes, Dunhuang. She briefed the audience on the background of Mogao Grottoes, and showed the achievements of protection, research, development and management during the past decades, and shared her experience about learning and management. 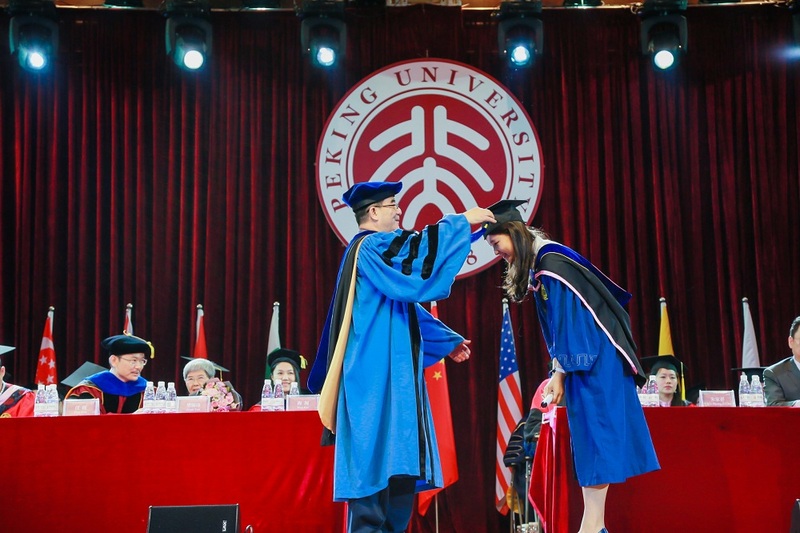 Although this PKU alumna was in grizzled hair, she still gave the audience a class about persistence and dedication with a loud and firm voice. 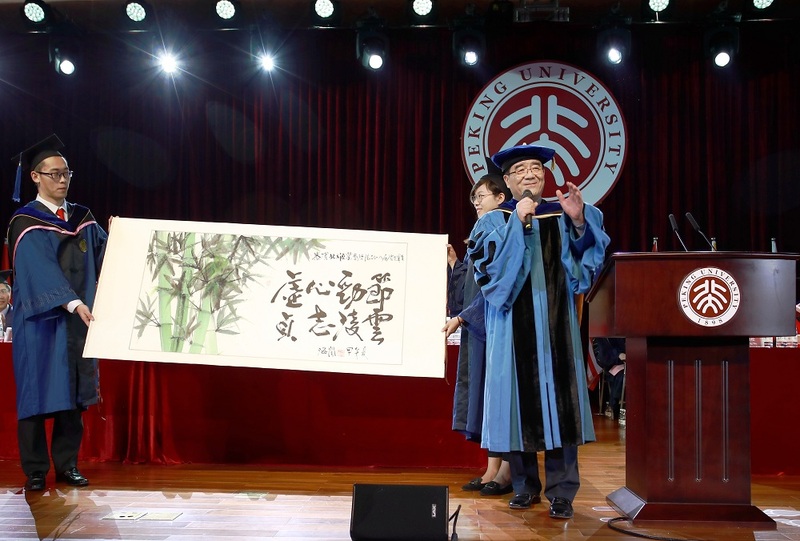 As usual, Dean Wen Hai donated his calligraphy with paintings to the graduates. 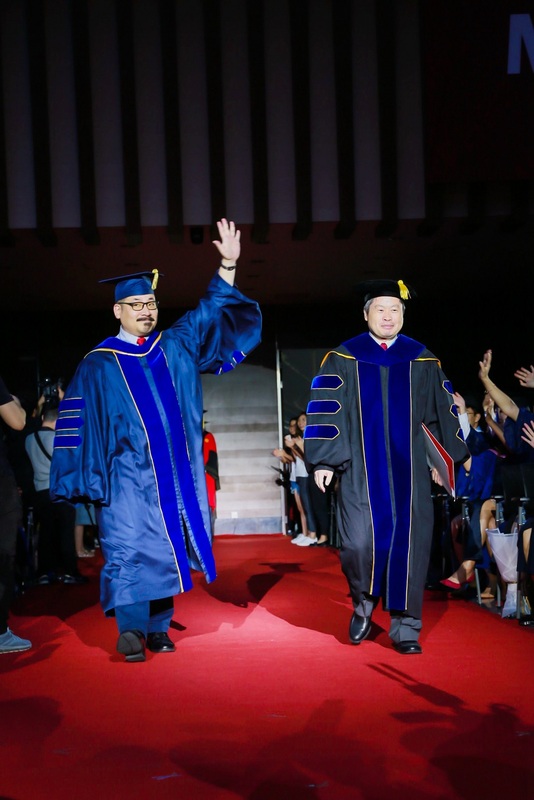 This year, he wrote “lofty aspiration with modesty and integrity” to express his expectation to the students, which was like the bamboo paintings, to be modest, righteous, with lofty aspiration and ideality. 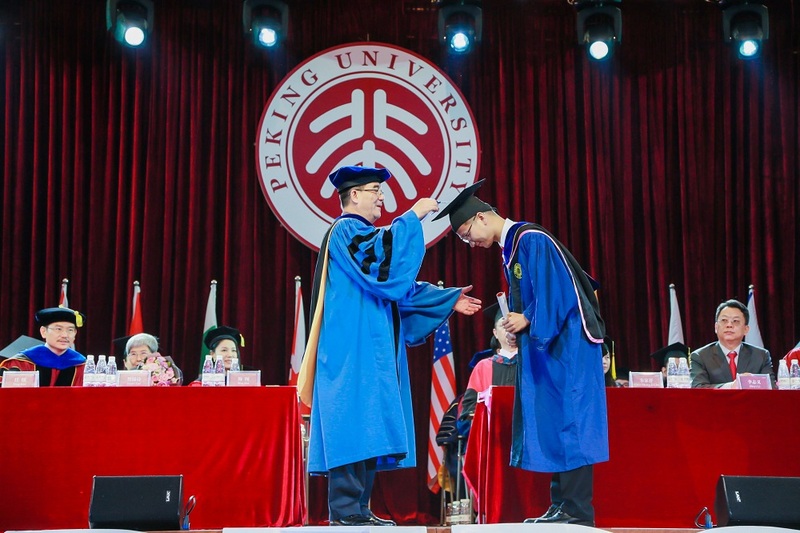 Prof. Shusong Ba read the name list of 2018 outstanding graduates, professors and guests issued them with graduation certificates. 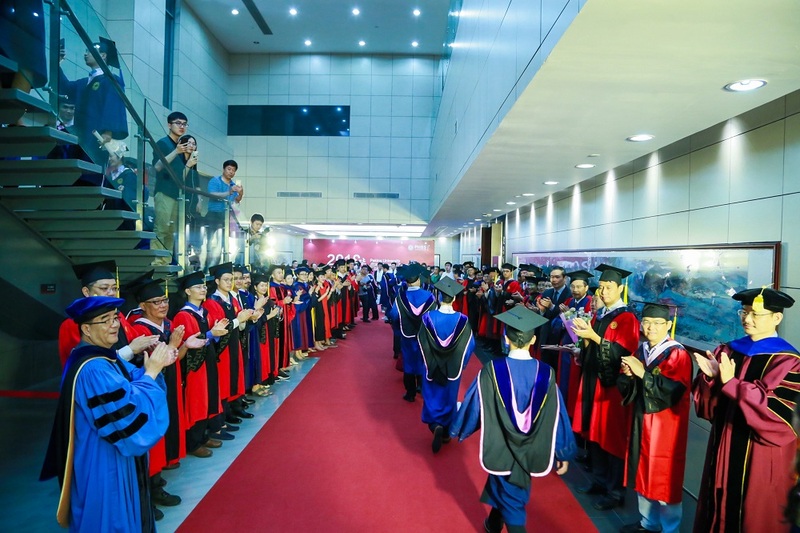 Prof. Chia-Shang J. Chu, Prof. Liangyi Ouyang and Prof. Fengmin Kong read the list of graduates respectively. 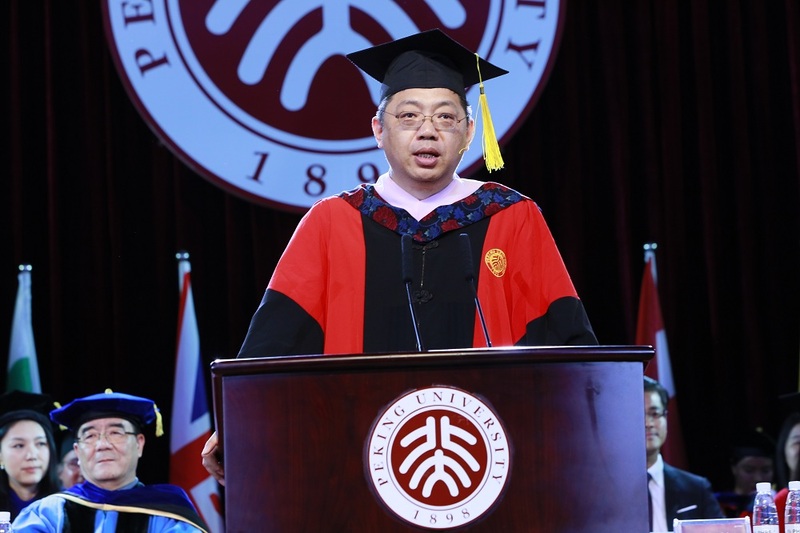 Dean Wen Hai turned the tassel of trencher cap for each graduate. 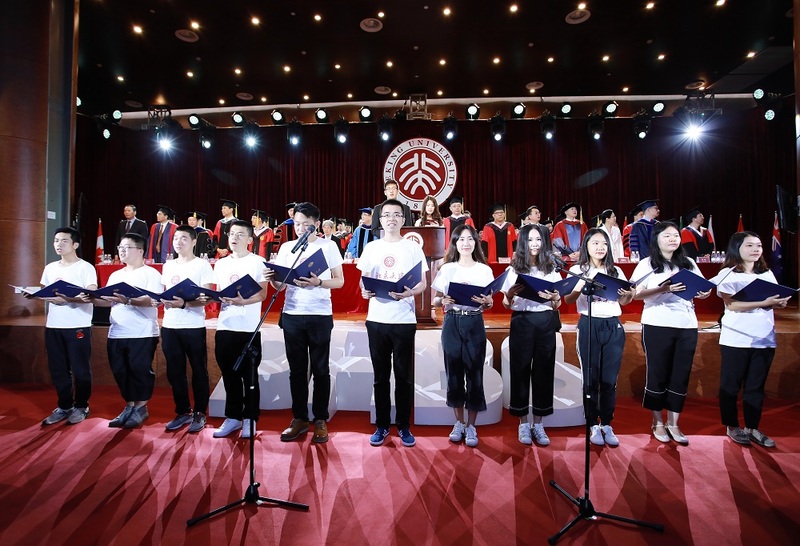 All the participants sang “Ode to the Motherland” together, bidding farewell to PHBS 2018 commencement ceremony. 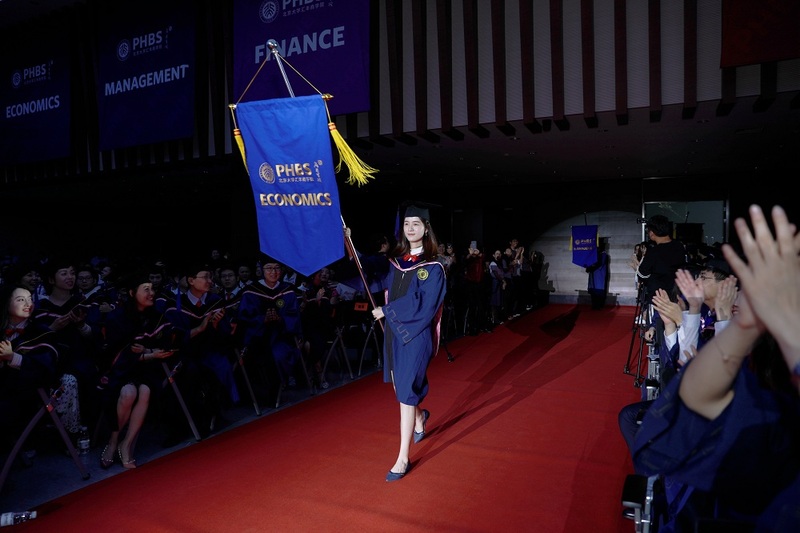 PHBS 2018 graduates are on the threshold of their brand-new journey, best wishes to them!